This week's lunar eclipse is making headlines around the world as one of the celestial events not to be missed. Here is what is so special about it. Everyone is talking about the lunar eclipse on Friday, July 27, 2018, and with good reason. The celestial event marks the century's longest of its kind, expected to last for 103 minutes, but it is also a total micro blood moon eclipse. Want to know what all this means and where you can watch it? Read our comprehensive guide. A lunar eclipse occurs when the moon and Earth’s orbits happen to end up in an alignment that sees the Earth positioned directly between the sun and the moon. When this occurs, Earth blocks the light from the sun throwing its shadow on the moon. If during this alignment the entire moon enters Earth's shadow the result is a total lunar eclipse. A total lunar eclipse leads to a blood moon. Even in a total lunar eclipse, sunlight can never be completely blocked so some still reaches the moon. However, it is first filtered through Earth's atmosphere removing most of the sun’s blue light. The moon then appears to stargazers as red or orange and we refer to it as a blood moon or a bloody moon. The moon orbits around the Earth in an elliptical path. This means that sometimes the moon is pretty close to our planet, with its closest orbit called a perigee, and sometimes it is pretty far, with its farthest orbit called an apogee. When a full or new moon occurs during an apogee, it is called a micro moon. Can I stare at it directly? Yes! Unlike solar eclipses, lunar eclipses are safe to look at. So gaze away! According to TimeAndDate.com, this month's eclipse will be visible in its totality in large parts of Australia, Asia, Africa, Europe, and South America. Furthermore, some parts of the event will be visible to much of Europe, Asia, Australia, Africa, South in North America, South America, Pacific, Atlantic, Indian Ocean and Antarctica. The site offers interactive eclipse maps that can be zoomed into to reveal accurate eclipse times and visualizations. Unfortunately, stargazers living North of North America will not have the privilege to watch it in real life. However, TimeAndDate.com will host live video of the eclipse starting at 18:14 BST. The site will also offer a picture gallery with viewers uploading their personal pics from around the world. Finally, NASA’s Lunar Eclipse Explorer also allows you to plug in your location in order to get the best time and spot to watch the event live. For additional fun, you can also check out the local circumstances for every lunar eclipse from -1999 to 3000 (2000 BCE to 3000 CE). Still confused? 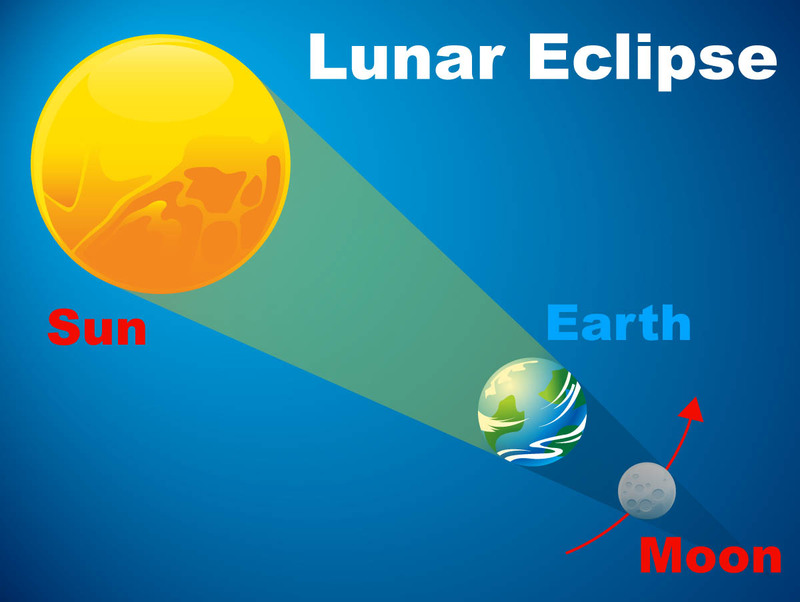 Watch this short video by NASA on how lunar eclipses work.